Welcome to Sand Stone Ridge! We started out our dairy goat adventure in 2011 with just an idea that goats would do well in our highland desert. Certainly, they would do better than beef cows. Having three children, and being avid animal lovers, my husband and I decided that we needed a livestock project to teach our children responsibility and a strong work ethic. I have always loved goats and had always wanted to have some around the place. The girls also insisted that they "WOULD NOT" raise and care for any animal that would end up on our dinner table. So goats of the dairy variety it is. 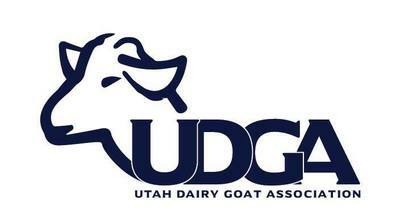 Little did we know how dairy goats can infiltrate themselves into your life. We have gone from one unregistered LaMancha cross doe to over thirty goats. In two years. To now over 40 excluding kidding season. What a great addition to our lives. We really like the idea of self sustainable living, and what better to have than delicious and nutritious goats milk. Over the years, we have learned a lot, and would like to thank all of the mentors in our lives. They have definitely made our lives easier with all of their sage advice. We would love to talk goats with anyone that wants to, so don't hesitate to give us a call or an email. As always, we continue to run a clean tested herd. We also try to do linear appraisals at least once every other year and participate with DHIA milk testing as well as attending at least three shows a year as well as Nationals if it is close enough. 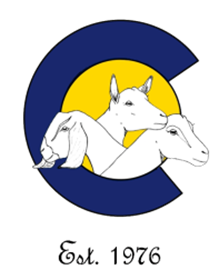 Please enjoy perusing our sweet goats, and feel free to contact us with any questions you may have.